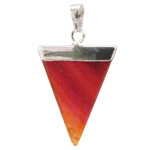 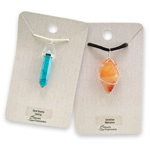 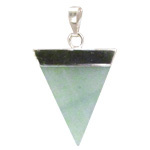 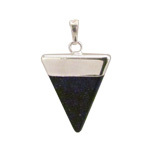 This beautiful semi-precious stone is cut into a triangular shape and set in a nickel free alloy. 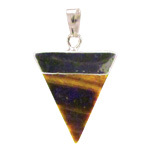 Clean and classic, this piece works perfectly on its own or layered with others. 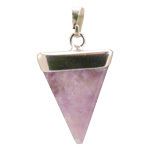 Wear it as a statement piece or use it as a pendulum. 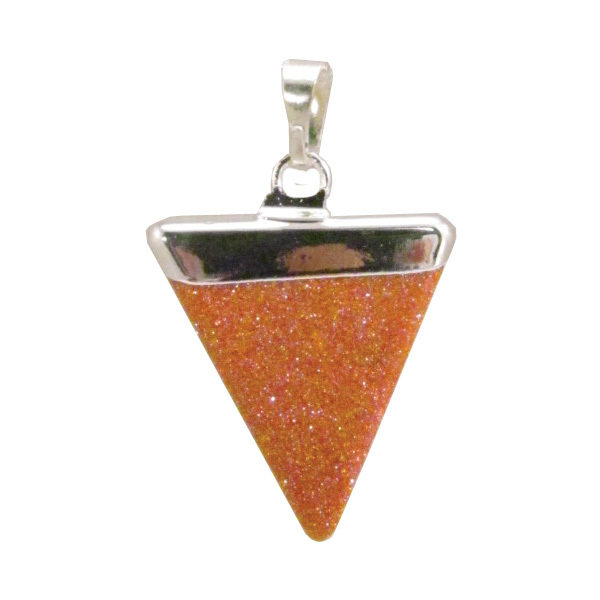 Goldstone is manmade glass with flecks of copper suspended in it, the glass is made in a reducing furnace with copper salts added, this smelts the copper salts back to copper, which then crystallizes.